We started the week on Wednesday, 8 November announcing the Federal Government has adopted all recommendations of the Hammond Review to grow co-ops and mutuals. 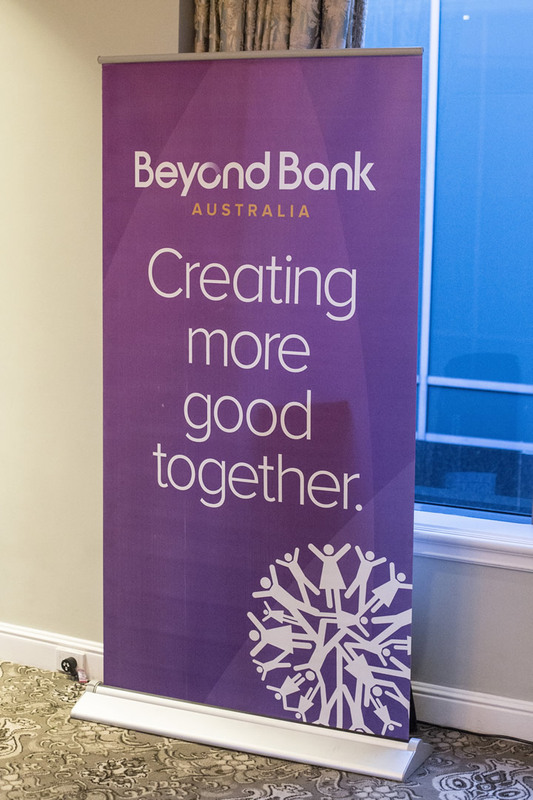 The press conference took place at CUA’s Burwood branch in Sydney. 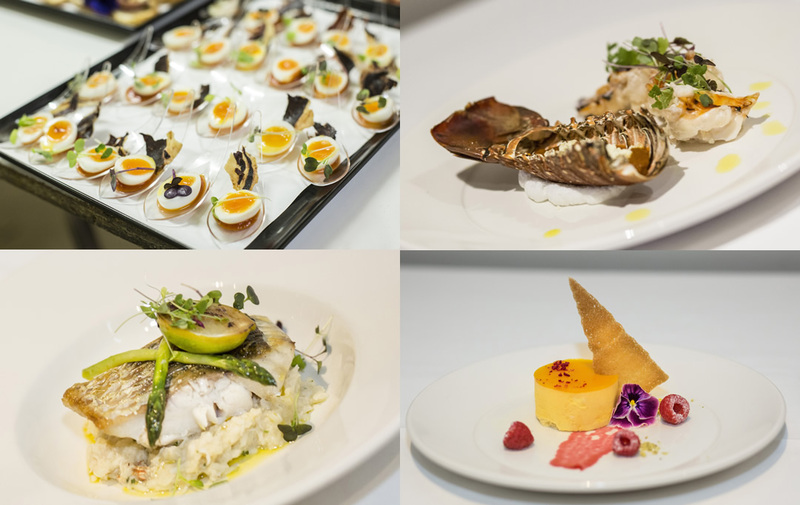 Continuing the ‘fine dining’ tradition of the Summit, we kicked off with the annual Taste of Australia Industry dinner on Thursday, 9 November 2017. 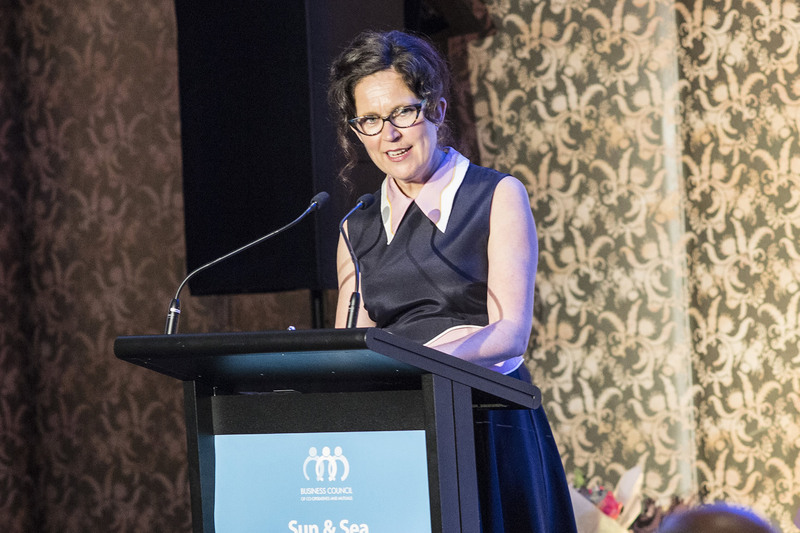 Inspired by MC Annabel Crabb’s hit show, Kitchen Cabinet, parliamentary colleagues joined Annabel on stage, to celebrate the finest Australian co-operative produce, expertly brought together in a menu created by Stamford Plaza’s executive chef, Gary Stiles. The food was yet again the star of the night! 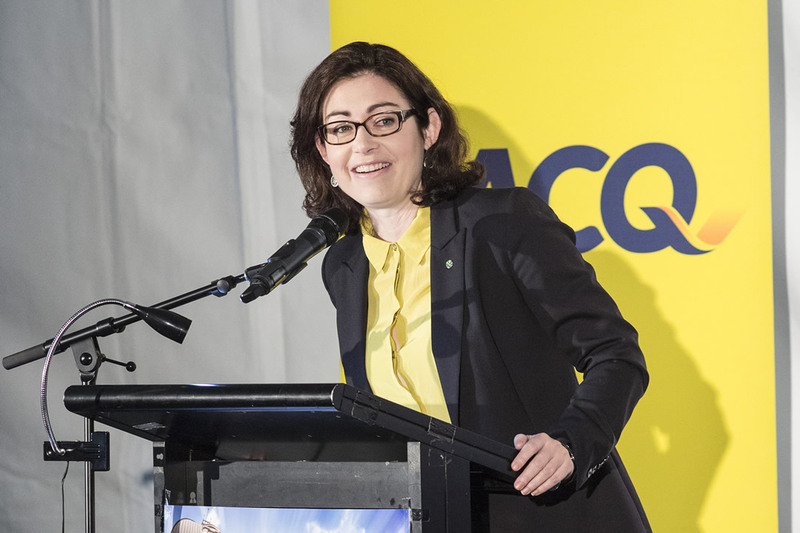 Annabel Crabb was an expert MC. 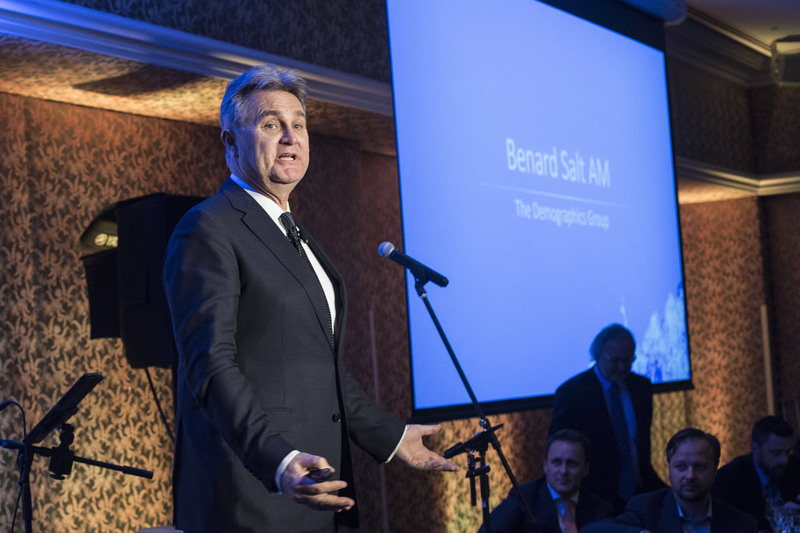 Bernard Salt presented on the public’s trust in Australian business and opportunities for co-ops. The Hon. 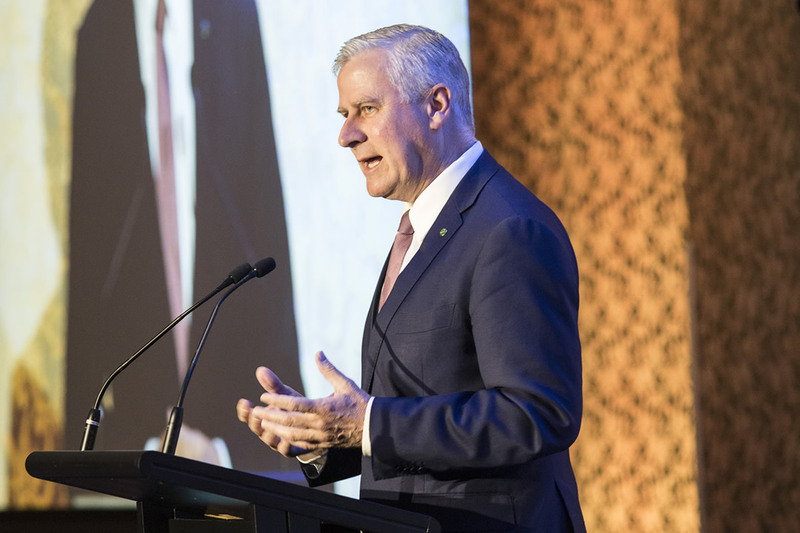 Michael McCormack, MP, Minister for Small Business gave the keynote address. The Hon. 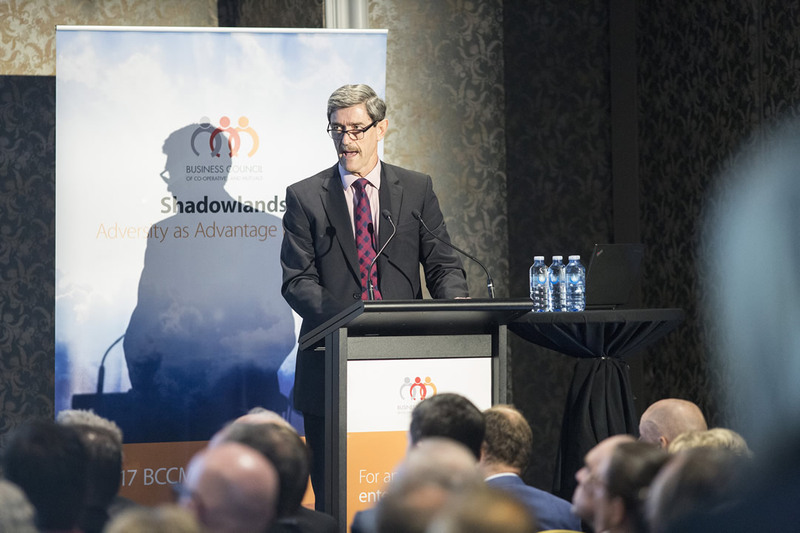 Dr Andrew Leigh, MP, Shadow Assistant Treasurer, spoke. There is no doubt we are in a good space … it’s ok to celebrate this success, but there is much work to do. 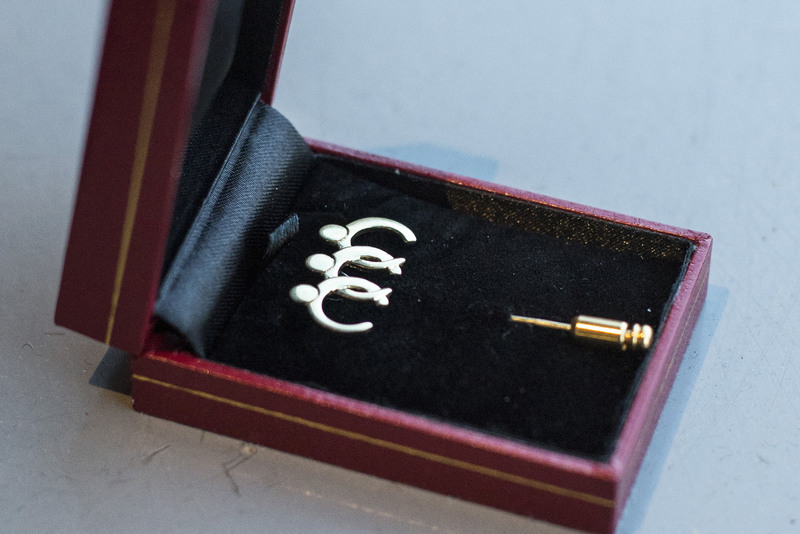 BCCM Hall of Fame Inductees received a handcrafted BCCM pin. View more images from the night. Breakfast on the Hill at Parliament House with the Queensland Government. 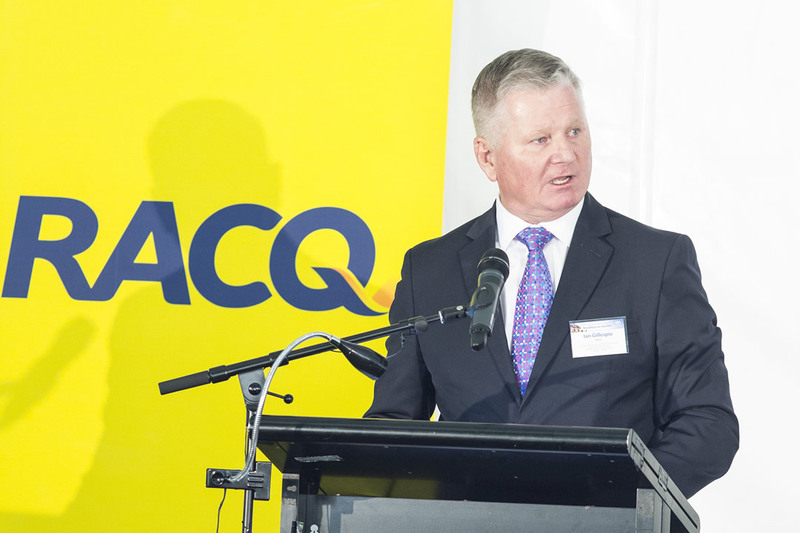 Our excellent breakfast was courtesy of RACQ. 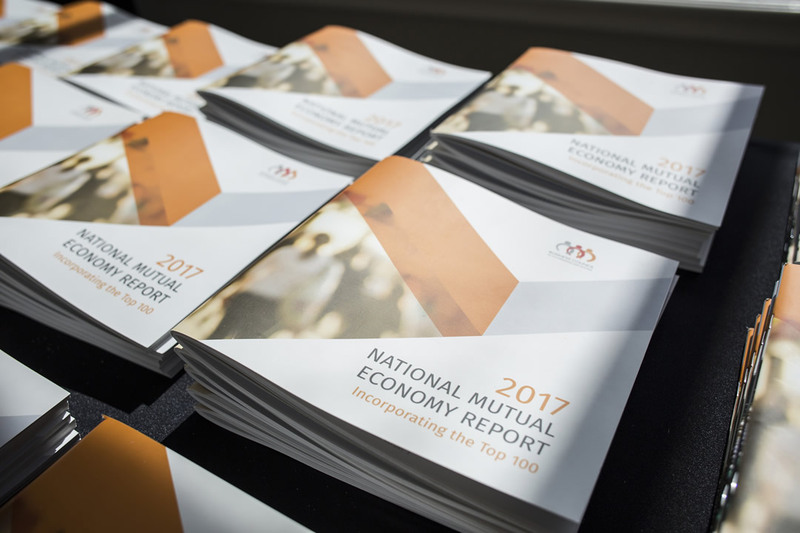 We launched the 2017 National Mutual Economy Report during breakfast. 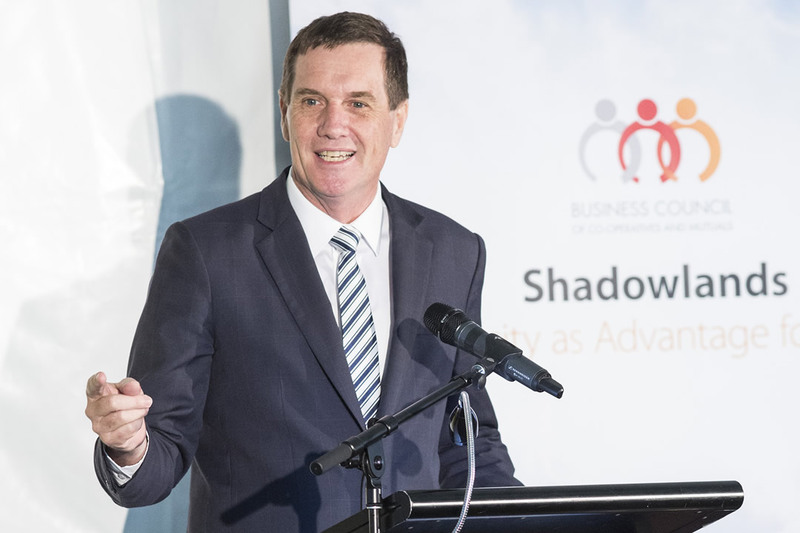 The report revealed mutual economy contributes more to Australia’s GDP than mining, construction or manufacturing. 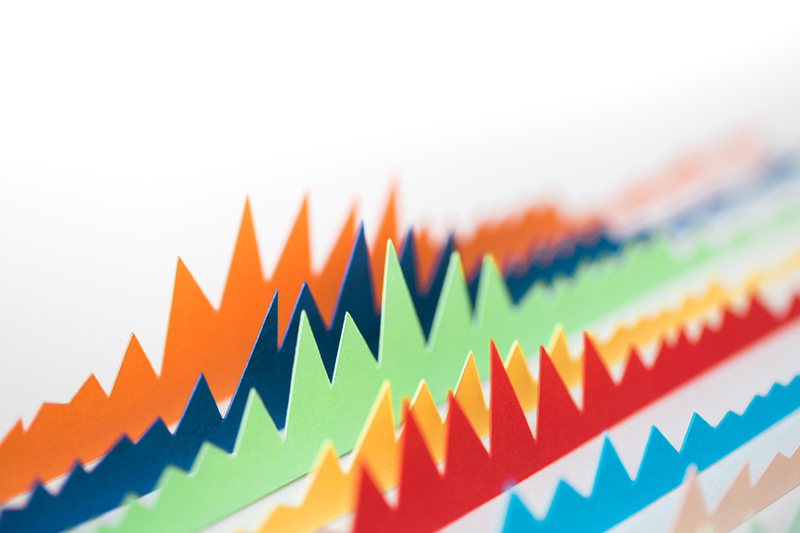 Download the 2017 National Mutual Economy Report Incorporating the Top 100. 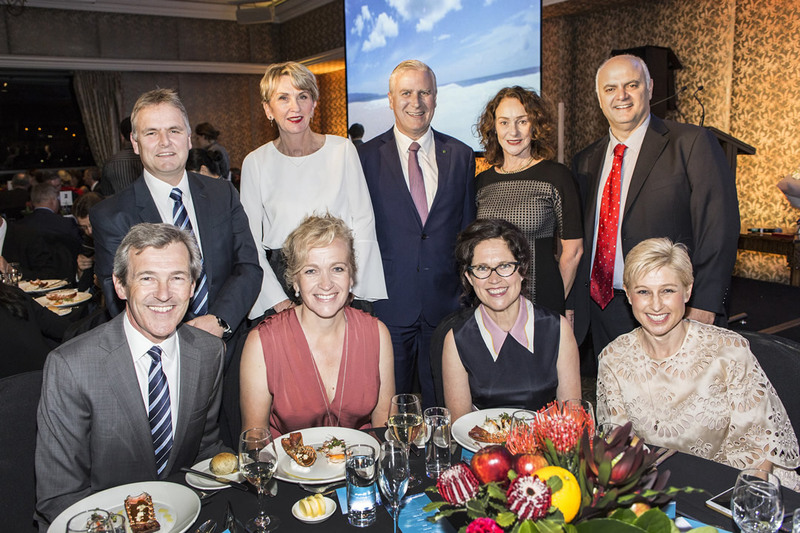 Melina Morrison recognised the leadership of QT Mutual Bank Chairman, Peter Whitelaw, during their transformational journey to become RACQ Bank. The Hon. Dr Anthony Lynham, Minister for State Development, launching the NME Report. Terri Butler, MP, Federal Member for Griffith, gave the closing remarks on the vital role of CMEs in a fair economy. 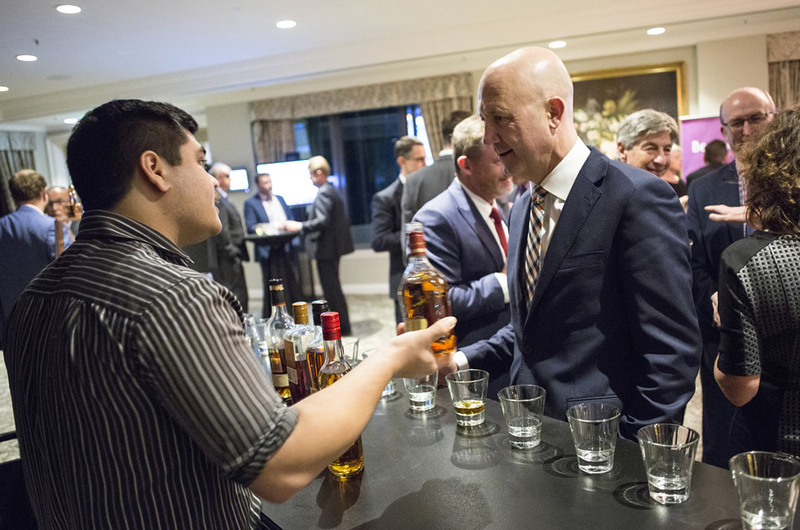 View more images from Breakfast on the Hill. 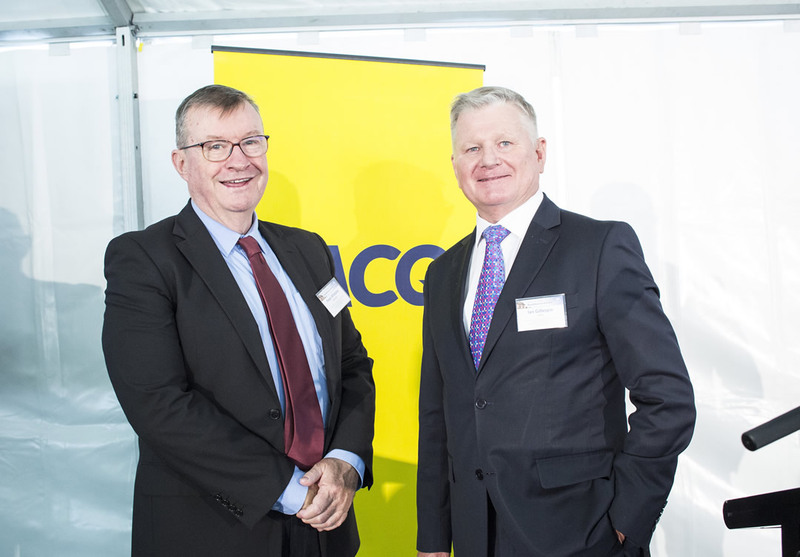 Andrew Crane, Chair BCCM and Terry Agnew, Group CEO, RAC WA, opened the Summit and launched this year’s Research. 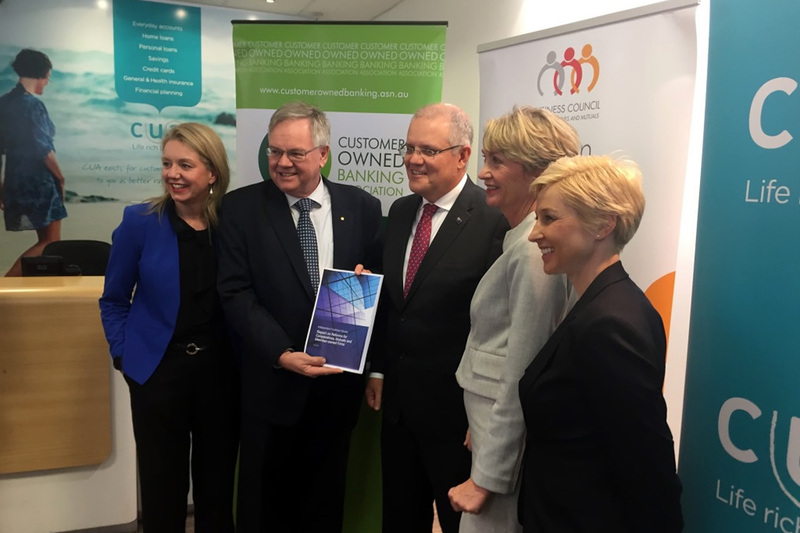 We launched the final report of Eliza’s Project, a BCCM research project undertaken by PerCapita, supported by Bank Australia and guided by a working group comprising industry representatives and academics. 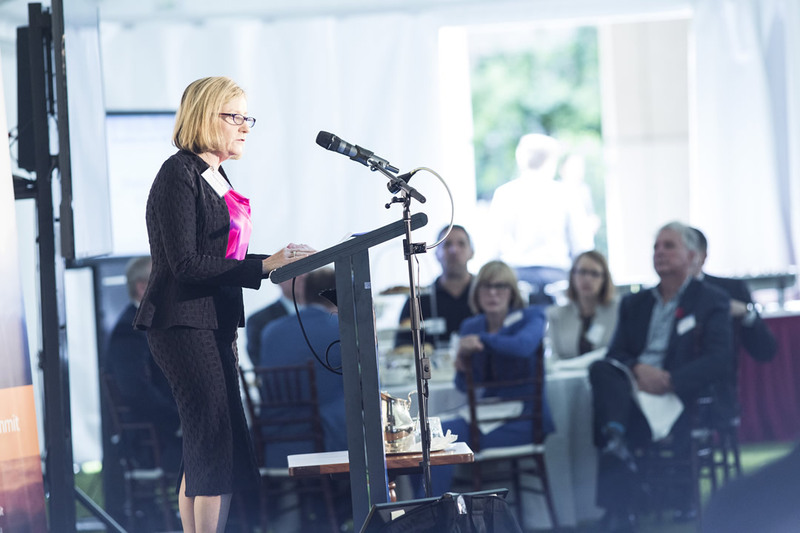 The project maps gender equality in the CME sector in Australia. 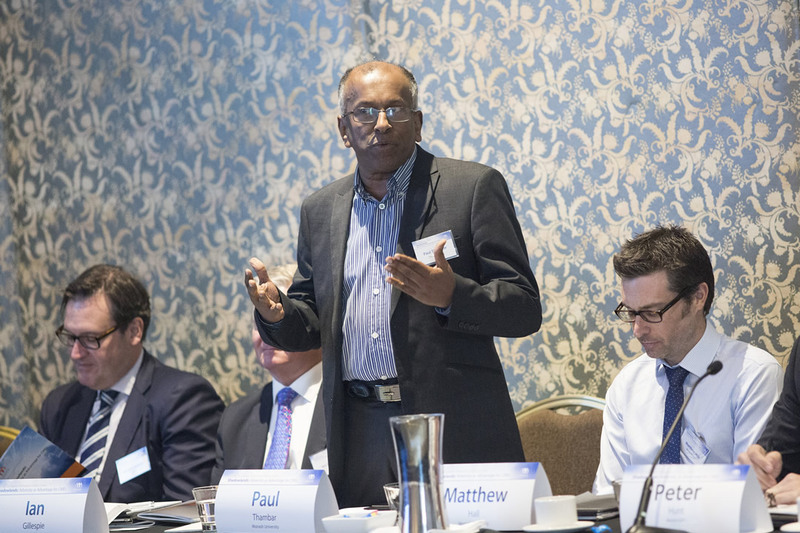 BCCM and various CMEs are working with researchers from Monash University on how best to measure Mutual Value (MV). 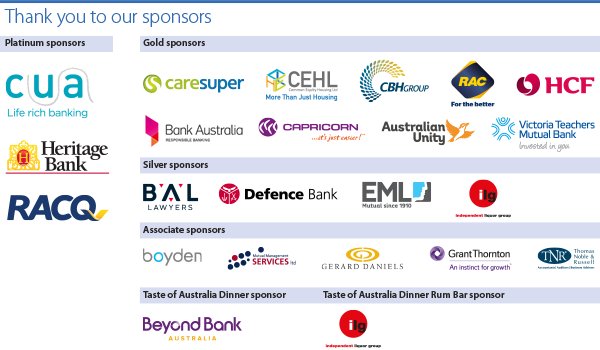 This important project will help CMEs communicate their value to members, helping to foster, maintain and increase member loyalty. We were excited to launch the project at this year’s Summit. Researching practical strategies, modes of organisation and business models for the co-op movement to embrace disruption for the benefit of society. 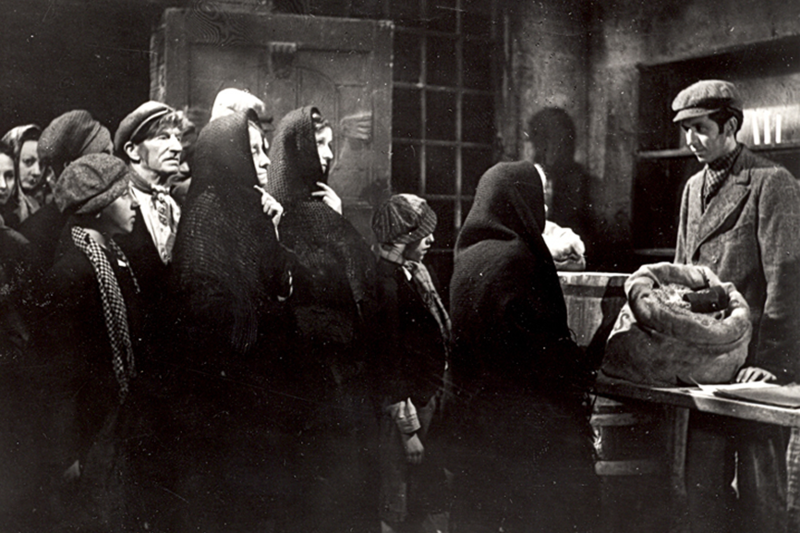 1833-2012. Maps all co-operatives over time and space. 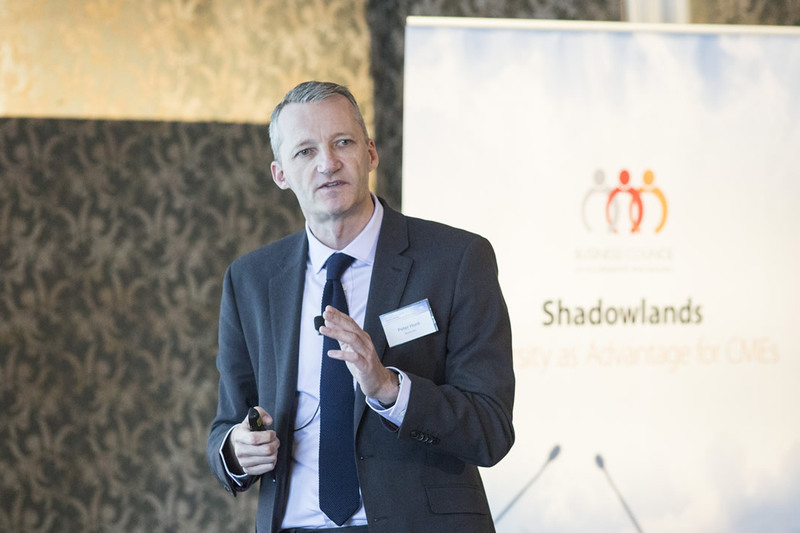 Rob Goudswaard, CEO of Platinum Sponsor, CUA, discussed some modern operating realities for CMEs. 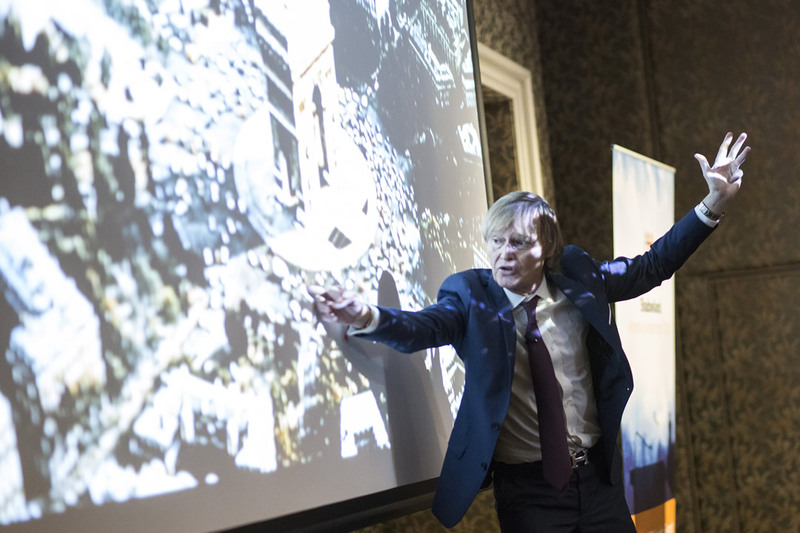 Yves Morieux, Senior Partner & Managing Director, Boston Consulting Group, made the keynote address. 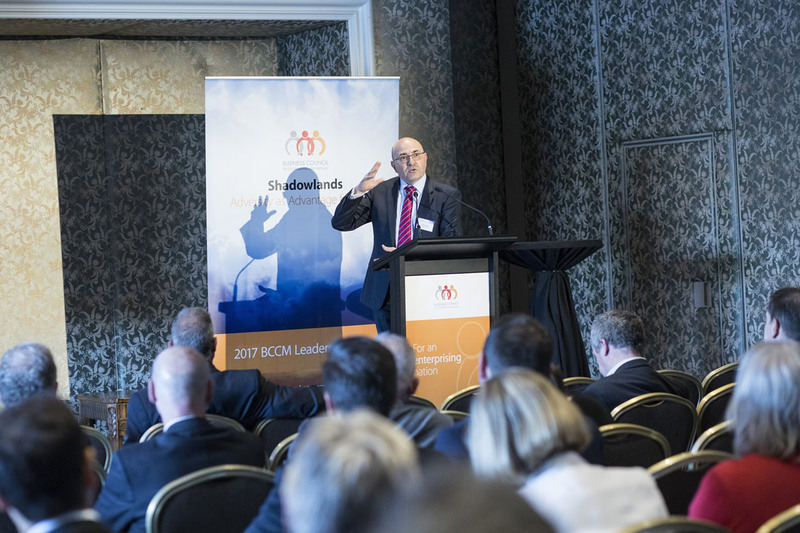 Yves shared his ideas for increasing the competitive advantage of CMEs through the sophisticated management of complexity in organisations. Smart Simplicity is a global management system phenomenon used by hundreds of leading firms, but its deepest impact is experienced when implemented inside co-ops and mutuals. Einstein said “Any intelligent fool can make things bigger and more complex – it takes a touch of genius and a lot of courage to move in the opposite direction”. Yves has given us this challenge. 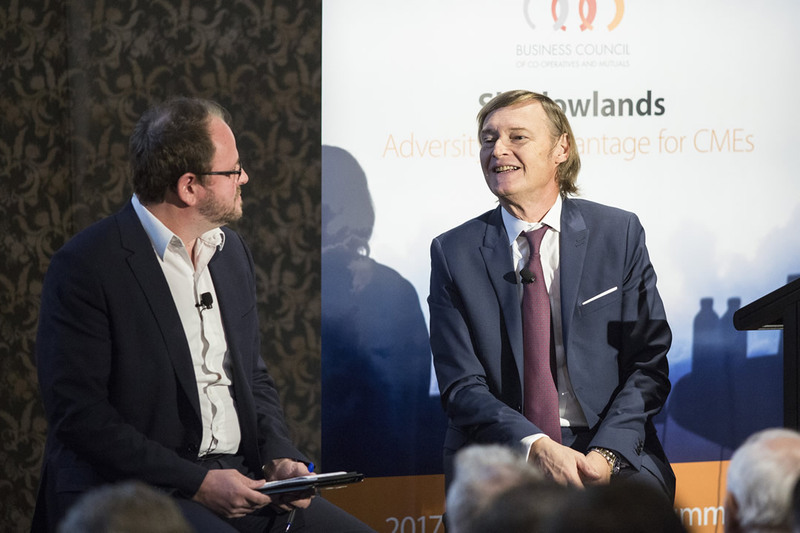 CMEs in Conversation with Yves Morieux: A rare opportunity to find out more about the Smart Simplicity ‘rules’ in an interactive discussion with delegates moderated by Patrick Durkin, Deputy Editor of BOSS Magazine. 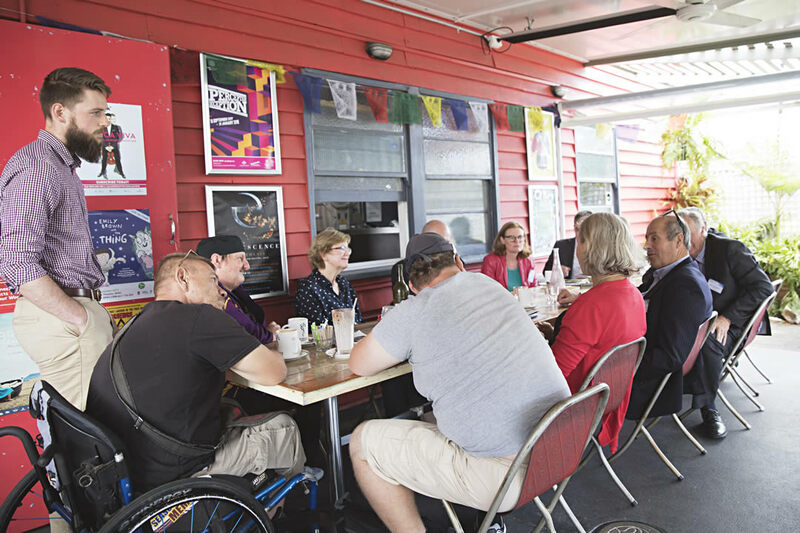 Delegates joined members of Nundah Community Enterprise Co-operative for morning tea to hear about a radically different approach to the way we think about social impact investment and enterprise building. 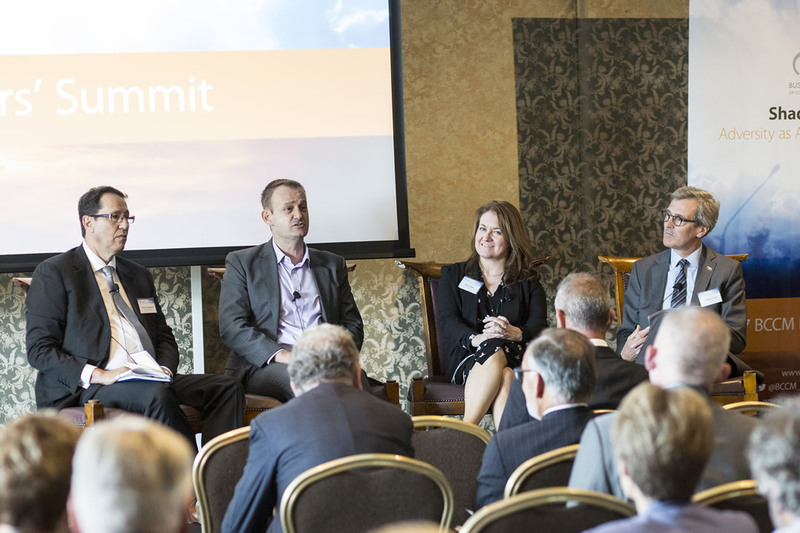 Nick Crofts, President, National Members’ Council, The Co-operative Group; Wally Newman, Chairman, CBH Group; and Max Roberts, Director, Bega Cheese; in a ‘no holds barred’ insiders take on what it takes to survive as a CME in current operating environment. 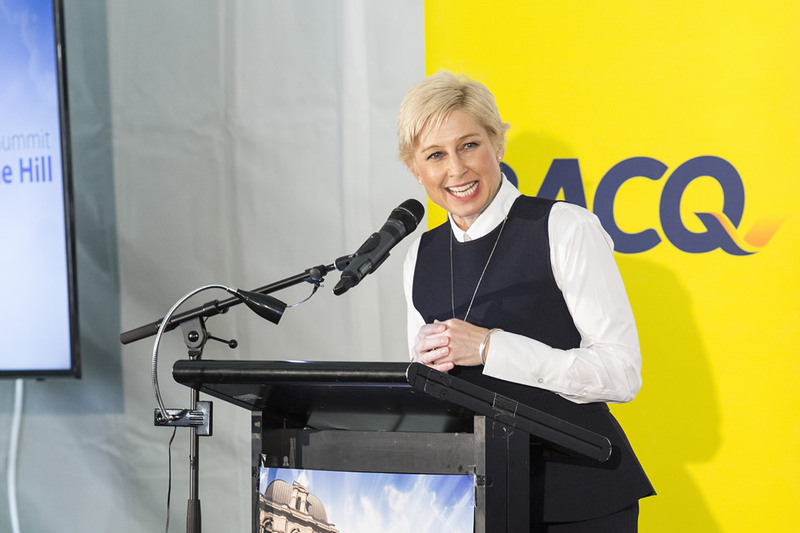 The Co-operative Group (UK) and CBH Group (Aus), the two largest co‑operatives in either country, have recently survived challenges to their co-operative structure whilst Bega Cheese some time ago, took a different path. 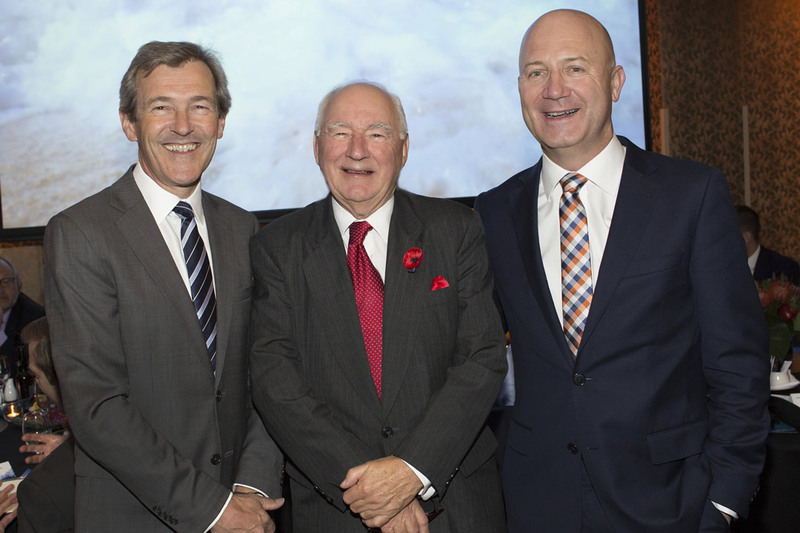 Nick, Wally and Max candidly discussed ‘near-death’ experiences. 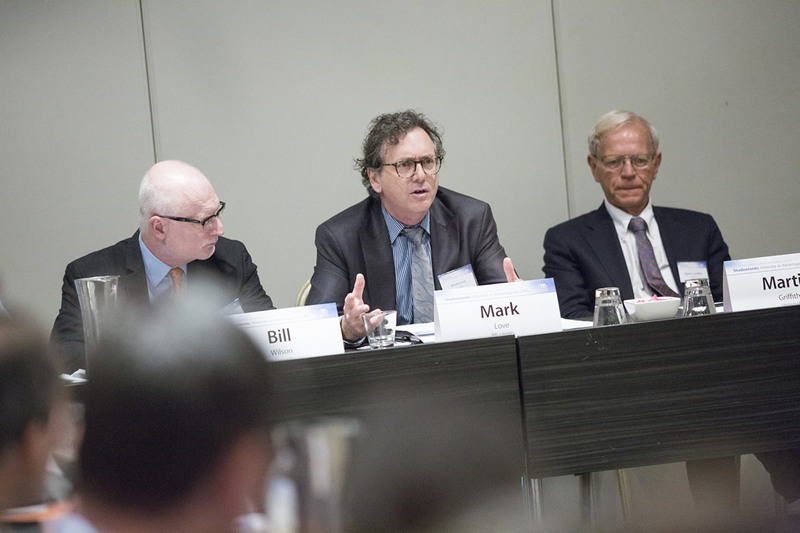 Moderated by Michael Janda, Senior Business Reporter, ABC. 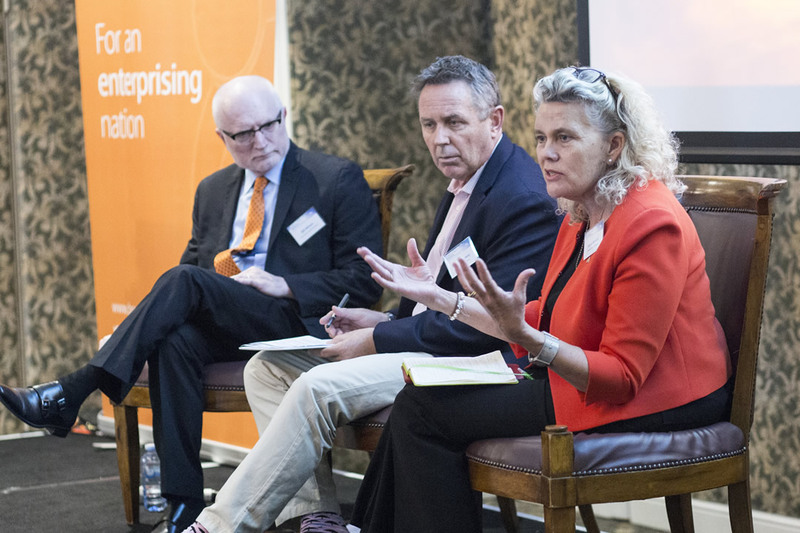 Bill Wilson, Director, Agribusiness Consulting, Farm Credit Council Services, USA; Fiona Simson, President, National Farmers Federation; moderated by Frank Kelloway, Partner, Deloitte Private. The Farm Credit System in the USA is an example to be followed. 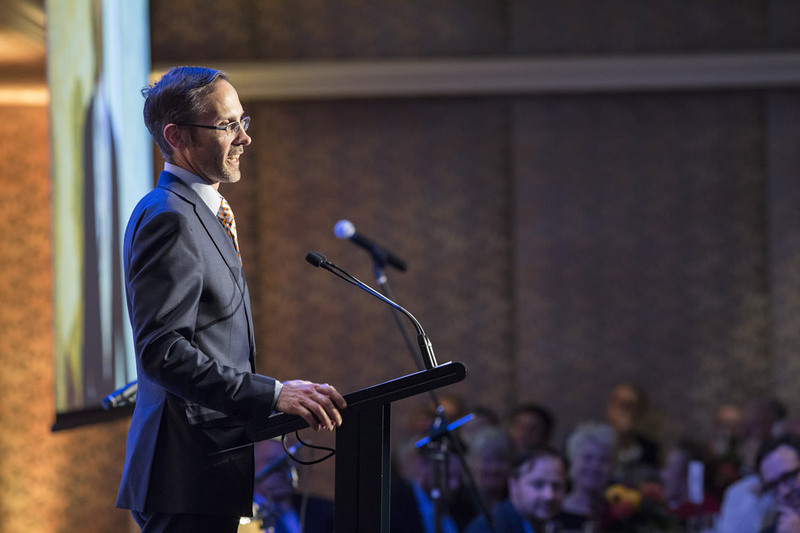 A nationwide network of borrower-owned lending institutions and specialised service organisations, the Farm Credit System provides more than $304 billion in loans, leases, and related services to farmers and rural cooperatives. 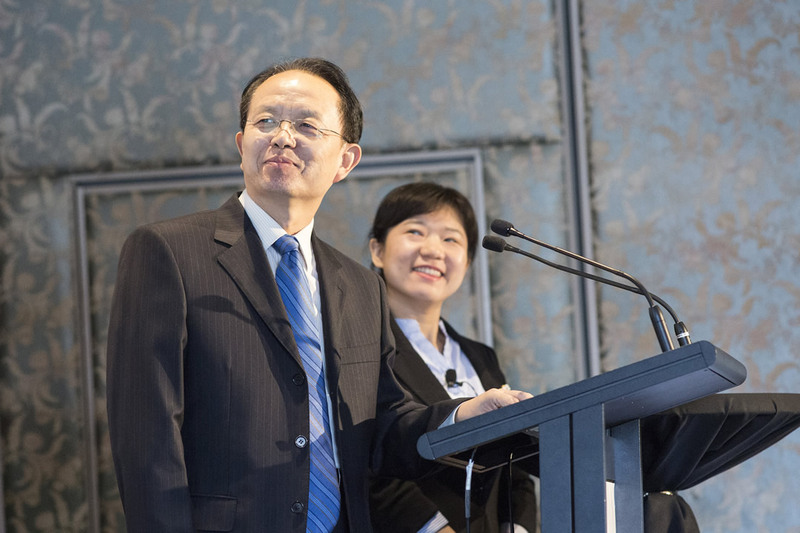 Mr Wang Hanmin, Vice President, All China Federation of Supply & Marketing Cooperatives, spoke on Accessing Chinese markets: C to C Trade and e-commerce in Asian markets. …serving over 20 million farmers! Nearly bigger than our Australian population. 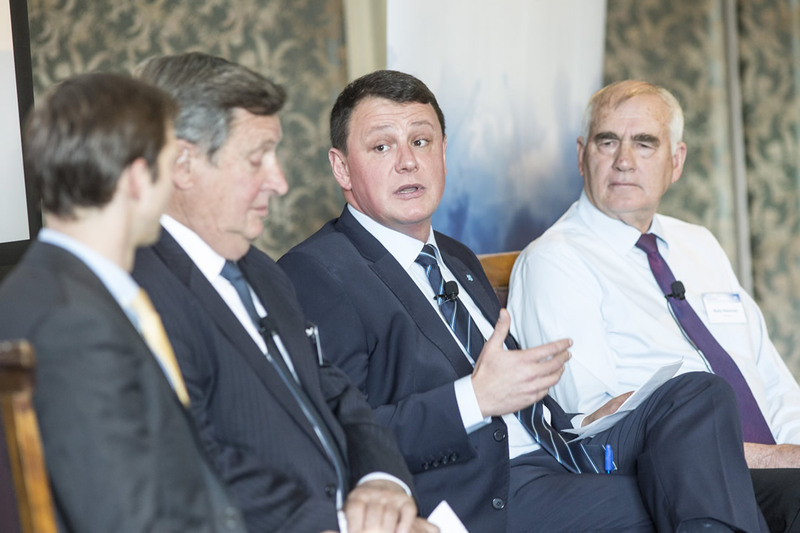 Peter Hunt, Managing Partner, Mutuo (UK) discussed latest developments in reforms to capital markets for mutuals. 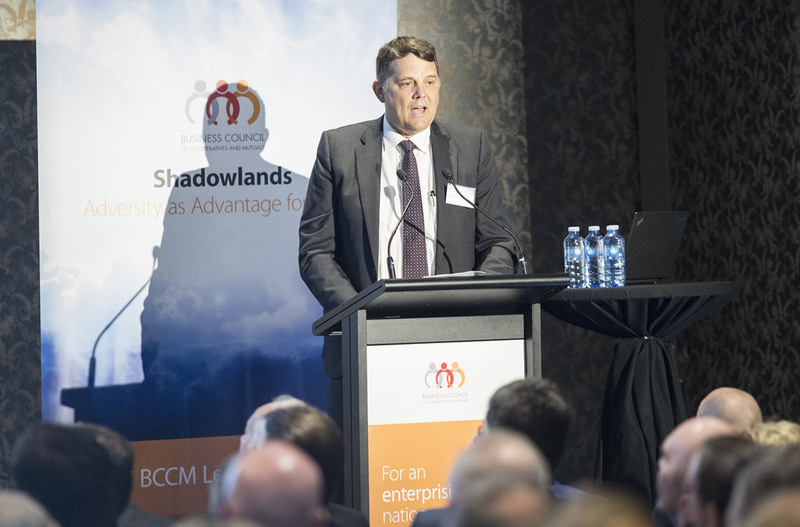 He looked at current Government interest in enabling capital raising for mutuals in Australia and compared this with similar developments abroad. 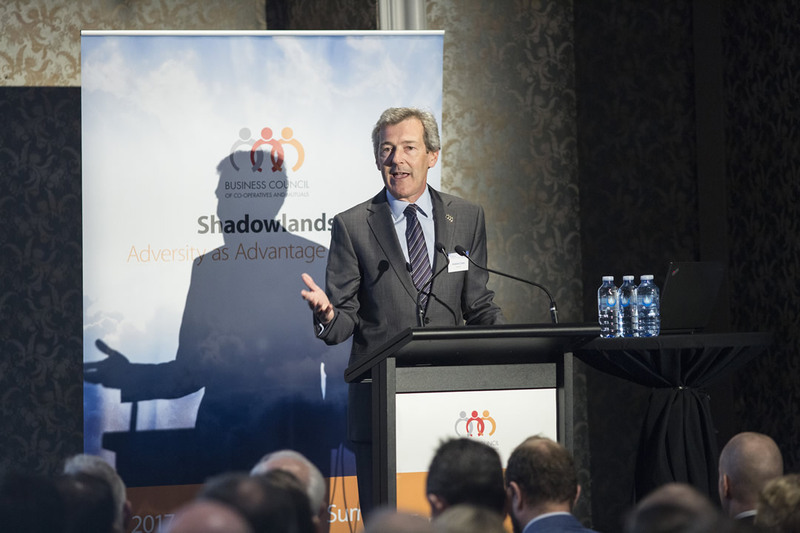 Peter Lock, CEO of Platinum Sponsor, Heritage Bank, providing his ’key take-aways’ from the Summit. 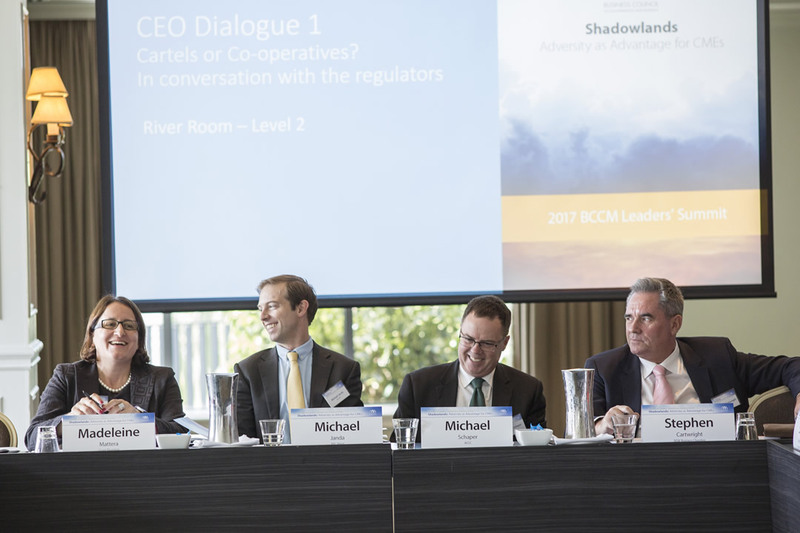 View our 2017 BCCM Leaders’ Summit photo gallery.